Amana has ramped up their product line in the last decade and now makes some of the highest rated central air conditioners in their class. They back up these models with a warranty that is as good as any in the industry, a fact that is giving many consumers reason to take a new look at one of America’s oldest heating and cooling manufacturers. Martell in Memphis, TN wrote to pass along the Amana model SSX16 Distinctions central air conditioner price he paid. We encourage you to compare his notes with the other articles in our HVAC prices archive to get a rough idea of what your costs may be on the products you are considering. Here is Martell’s post. “Greetings from steamy Memphis! It’s already really hot here, though the humidity hasn’t kicked in full blast yet. I’m running my central air conditioner pretty heavy already and it is doing a fantastic job. I had an electrical fire in my basement in January that I was able to put out pretty quickly with a fire extinguisher. It started in the furnace and ruined it, plus did a fair amount of smoke damage. I was insured, so didn’t suffer a major loss. In fact, with the insurance settlement I was able to upgrade the furnace and remodel the basement. The next step was to replace the air conditioner to match the furnace I chose – an Amana Distinctions 90% AFUE model. The Amana dealer suggested either the Amana SSX14 Distinctions central air conditioner or the Amana SSX16 Distinctions. The difference was $325 in price. I estimated that the SSX16 will save me $15-$20 per month in cooling costs, or about $160 per year. In just about 2 years I’ll make up the difference – and in fact, with the tax credit I’m going to get for the whole system, the time frame will be even less. So I went with the Amana Model SSX16 Distinctions central air conditioner and should see my cooling costs go down by 40% or so over the old air conditioner. Energy Star and Tax Credit. Foam compressor blanket, sound control top and other design features reduce operating noise. Uses R-410A refrigerant that is chlorine-free and environmentally safe. Crankcase heater and filter dryer are installed at the factory. SmartShift Technology keeps the unit defrosted and working safely with the use of high- and low-pressure switches. Limited lifetime unit replacement warranty on the compressor; 10-year warranty on all other parts. 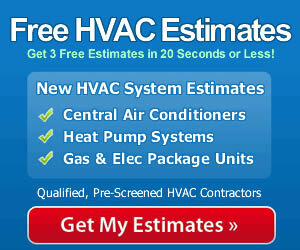 When you invest in a quality air conditioner you should expect to get at least 15 years of service from it. Some don’t last that long. While a few of them are lemons, many times the problem stems from incorrect installation. Hiring a professional, qualified contractor with the right skills and tools required to do the job right is the best way to ensure you’ll get your money’s worth. As you are evaluating central air conditioner prices, be sure to find a contractor you trust to install the model you choose.